The NSW Health Leadership Framework is designed as a catalyst for developmental change in individuals and as a scaffold for the construction of new forms of leadership in healthcare organisations committed to patient and user-centred high performance. 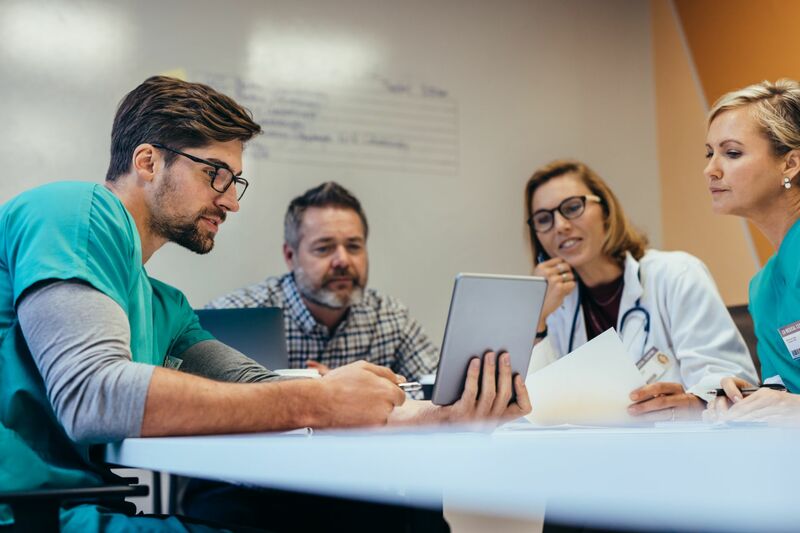 The framework provides an underpinning for leadership development strategies and programs in NSW Health both in reviewing existing initiatives and setting up new ones. The framework affords a basis for developmental 360-degree feedback and related tools. Importantly, the framework provides a common language and set of concepts and definitions to inform discussions about leadership in the NSW Health system. 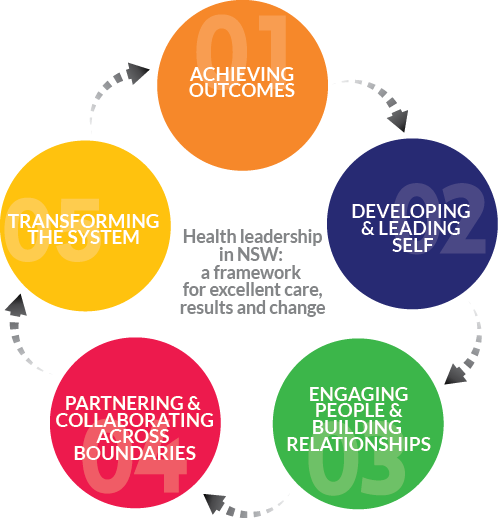 To access a PDF of the NSW Health Leadership Framework, click here. Being accountable for performance and resources. Taking responsibility for own performance and contribution to the service agreement. Creating workplace culture environments where people can contribute. Encouraging fresh insights from diverse sources to foster innovation. Being politically astute and building support for change.